It would have been easy to choose luxurious, lofty bottlings as my whiskies of the year – 2017 had its fair share of superb – but rare – drams with high age statements (and prices to match), including many from lost distilleries. Diageo’s Special Releases harboured a handful of real gems, among them a 52-year-old Port Dundas that was as comforting as a heated duvet on a cold night, yet unobtainable to many at £775 a bottle. Same goes for a layered, waxy but steeply-priced (for my wallet) 32-year-old Convalmore. I was also one of the few to sample the excruciatingly dear Dalmore 50 Year Old, at £50,000 a bottle, in a personal tasting with master blender Richard Paterson. At Claridges no less. Not only does this time of year provide the chance for us to reflect on memorable moments such as these, but also to be thankful for the wonderful opportunities we’ve been afforded. I’m incredibly lucky – and grateful – to be in a position to taste such a diverse range of whisky, the likes of which I know many will never have the opportunity to. So in choosing my three whiskies of the year, affordability has been a deciding factor, as has availability. That said, the liquid quality comes first, and all three can equally be deemed impressive where flavour counts. Two represent amazing value for money, while the third is a dram that just keeps evolving and surprising the more I return to it. 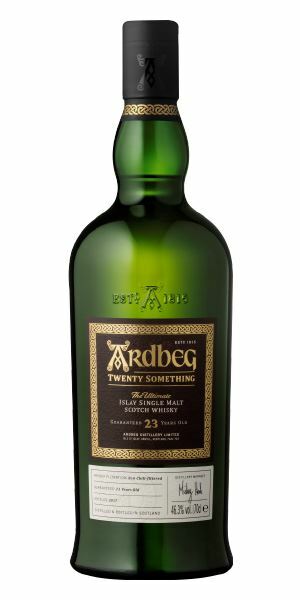 Up first is Ardbeg Twenty Something, admittedly the least available of the three, but a whisky that keeps on giving time after time with such a depth of character I couldn’t not include it. The bottling was only released to Ardbeg Committee members, but if this is the standard of dram being offered then get yourself a membership – it’s free. 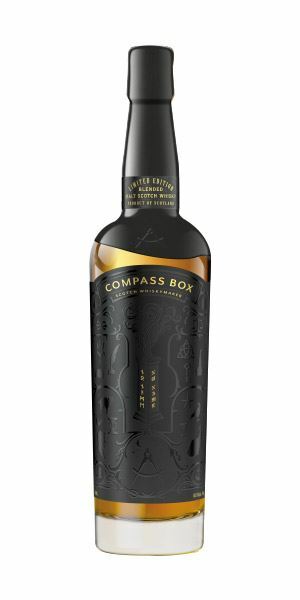 Next is a mysterious blended malt from Compass Box, with a name and design reminiscent of a Spirited Away character. As the company’s peatiest whisky to-date you’d expect a real peat bomb, but here the skill of the blender is really exhibited through layers of entwined flavours (including a Chinese takeaway). 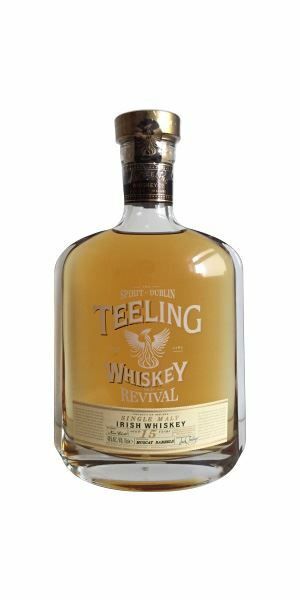 Lastly, a frankly beautiful Irish single malt from the guys at Teeling Whiskey. 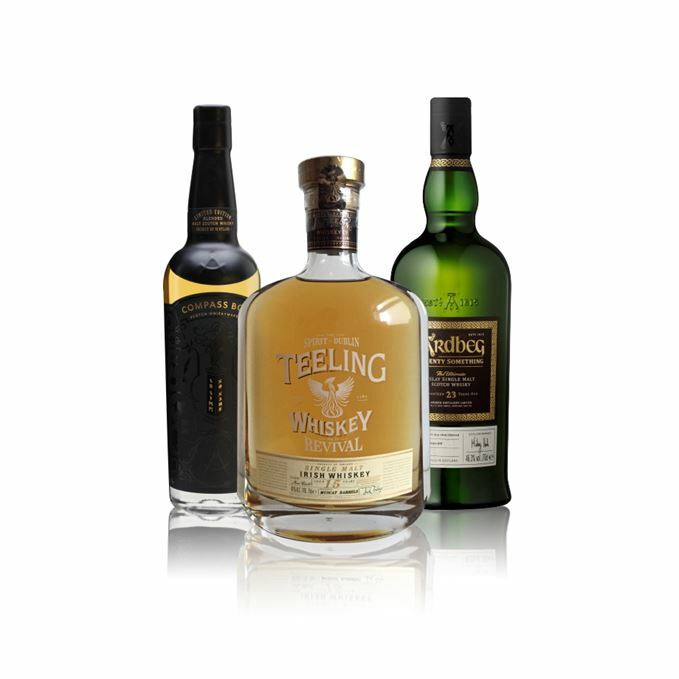 This, a 15-year-old finished in Muscat casks, demonstrates Teeling’s now honed wine cask finishing skills, and reputation as disruptors of the Irish whiskey scene. The bottle’s gorgeous too, and a steal at £100. Rich with confectionary – fruit chews and cola cubes, but with an oily characteristic – extra virgin olive oil – and a metallic element, like wire wool. The nose is constantly evolving; first fruity sweeties, then oily bitterness, then powdery icing sugar and seaside rock candy, before the cycle repeats. Always, a soft smokiness pervades as a comforting constant. There’s so much fruit it’s practically juicy – charred pineapple, dried apricots and citrus peel. Simply mouthwatering. The base notes come in the form of liquorice and oak, with a slight hint of rancio. The smoke is there, but slightly diminished – a sign of having spent quite some time in cask. The smoke puffs through, a dying bonfire. Ardbeg occasionally releases whiskies of this calibre for its Committee members only. It’s free to join, and with drams like this on offer, what’s to lose? Sucking on a stick of Brighton rock, watching the spectacle that is Burning of the Clocks. It’s restrained at first, being Compass Box’s peatiest whisky to-date, the nose is filled with wet smoke – like a shaggy wet dog stuck in a pool of tar. Give it a moment, and the smoke clears enough to reveal a lick of citrus fruits – lime zest and grapefruit, juicy yellow Starburst. Well, this is a first. I’ve never written ‘Mushroom Chow Mein’ as a tasting note before. That’ll be the harmony of smoke, meatiness and salinity for you, the result being an umami-rich experience. It’s big and powerful yet there’s depth and complexity here. As the smoke subsides there’s a lovely, rich sweetness underpinning the peat, and those citrus (and plummy) fruits are given their moment. Containing mostly Islay malt whisky with a touch of Highland, No Name doesn’t just throw its peated weight around for the sake of making headlines. The smoke, while intense, harmonises with the savoury and fruity elements that demonstrates the skill of the blender. Reflecting on a successful Christmas gathering; the fire diminishes in the hearth. Who fancies a Chinese? Delicate yet bursting with ripe orchard fruit, juicy peach flesh and… red wine gums. A maltiness is imbued into the fruit – think Weetabix with an apple and strawberry compote. It’s remarkably soft and dessert-like, hinting at some spicy depths within – an almond croissant just begging to be torn apart. Rather spicy and up front to start, with more fruit flying around than level 10 of Fruit Ninja – mango, apricots, kiwi (I kid you not), red wine gums and forest fruits, all still carried by that sense of mildly nutty maltiness. There’s a hint of milk chocolate in the middle, embedded with freeze-dried raspberries. Delicacy returns, the guts of a soft, fluffy croissant with the fading memory of raspberry jam. Passively seeing in a new year, a freshly-baked pastry in hand.